Thank you for inquiring about ADK microphones (Audio Deutch Kraft). 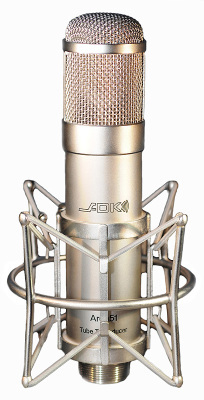 ADK offers an impressive performance and outstanding value for your microphone needs. ADK microphones entered the world market with their initial entry Area 51 product line. Today they have advanced a long way in developing a wide array of technologies and microphone choices. Offering both FET and tube circuit designs, along with sonically appealing capsule designs, ADK product line includes the Studio tube and fet series, 3-Zigma CHI multi-capsule systems, and Custom Shop Z-Mod tube mic systems. Vintage Loop offers a few quite focused ADK microphones for covering live audio and studio needs, thought to be the best for results and monetary efficiency. ADK is a high quality choice that is ever evolving its sonic character, cosmetic craftsmanship, and manufacturing quality control. Headquartered in Portland, OR, USA, capsules and components are sourced from Australia, Europe and its own ADK Custom Shop. Visit www.hearthegear.com for soundbyte samples. ADK are assured to become a favorite for rock-n-roll, orchestral, jazz, room ambience miking and classical acoustic instrument recordings. You will be quite pleased with your purchase!